Self-publishing is a growing trend. In January 2003, Trafford Publishing, whose writers are self-publishers, accounted for a whopping 27% of the CIP applications in Canada. And that's only one company. (CIP is Cataloguing in Publication and is information that goes to book sellers and libraries before publication.) Since then, more service-providers to self-publishers have come on the scene, ebooks have exploded onto the scene, and it seems that almost everyone wants to self-publish. As an editor who works primarily for self-publishing writers, I am happy about the trend. I self publish myself. But I also publish in a more traditional way. It's important to know the pros and cons so you can make the best choice for your project. Control: Many people who self-publish do so because they want control of the whole process. Every decision is the author's. Once a contract is signed with a traditional house, decisions are out of the author's hands. The look and feel of the book, how it is marketed, whether to reprint or sell to foreign markets or a movie studio.... A self-publishing author holds all rights and has complete control over who uses the work and how. The Market: Some people who self-publish do so because they have a niche market they know well. This is the case for a bulletin I self publish for Grade one parents. I sell it to schools to distribute to parents. As a teacher, I have access to teachers that no publisher could have. I am happy to do the work to market my writing in this venue because of my insider knowledge. Another writer publishes books on exercise for dancers. He is a former ballet dancer and a medical practitioner. Again, he knows the market personally and has immediate access to people who will buy his books. Another writer is marketing her self-published cookbook on a speaking tour about low carb living.There is another special group of self-publishing writers, those who envision a very small print run. For example, writing a family history is a common reason to self-publish. Other writers just need to see their name on the cover of a book. Self-publishing meets those needs. Time: If you self-publish, you can get your book out much more quickly.You can spend years sending out a manuscript, getting a rejection, sending it out again to another publisher.... And if you do get accepted?A traditional house spends a year or more getting a book on the shelves. With self-publishing, that time can be reduced to weeks for a book, hours for my bulletin. Money:(a)Many people are attracted to self-publishing because of the low royalties offered by traditional publishing. When a book is sold traditionally, the author will receive about 10% of the selling price. A self-publishing writer can get 40-60% of the selling price. Keep reading, because there is a money downside, too. (b)As a small business, and you will be a small business if you self-publish, you can deduct many expenses. This can be a big advantage if you have other significant income. Note: As a writer you can also deduct many expenses, so publishing may not be as profitable as some people think, given that you had to write the book anyway. On the other hand, if your book lasts a long time, you can continue to deduct business expenses long after the book is written. Testing the Market: Some people self-publish as a way to test the market. Once a writer can prove people will buy a book, he or she takes that information to a traditional house and uses it to try to secure a contract. 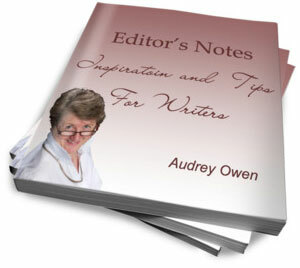 Attention: The self-publishing author gives the project his or her attention. In a traditional house the sales force has many books to sell. They can give only a part of their time to any one publication. To do a good job of self-publishing you either have to become skilled in all these areas or to hire expert help. Marketing: Getting someone to open his or her wallet to buy a book takes both time and money. The fiction market in particular can be difficult to target. Who will read a particular book? How will you convince a reader to buy your book instead of another book just like it? How much of your time can you devote to marketing your book? Time: Everything your book needs from conception to sales will come out of your daily schedule. In a traditional house, once you've written your book and made the corrections your editor calls for, you're done. The publisher will want you to do some publicity and it's in your interest to do it, but there is no question that the self-publishing writer spends far more time in production and sales. Money: You have to spend money before you get anything. And there is no guarantee that you will ever get a return on your investment. All the risks are yours. If you publish with a traditional house you generally get an advance and then if your book sells well, there will be royalties. Many book sellers will not buy directly from an author. It is too expensive for them to set up an account to handle only one book. That means finding a distributor, who will need a discount on the price of the book. The book seller also needs a discount. The 40-60% profit gets eaten quickly in this system. The book business also has an odd convention. If books do not sell, the stores return them for a refund. You can offer a larger discount and write a special contract refusing returns, but not all stores will accept that. Testing the Market: Some people self-publish as a way to test the market. Once a writer can prove people will buy a book, he or she takes that information to a traditional house and uses it to try to secure a contract. Terry Fallis did that with Best Laid Plans. After it won the Stephen Leacock Memorial Medal for Humour, he quickly signed a traditional publishing contract. His is an encouraging story, but know that he is definitely an outlier. Prestige: There is a prejudice against self-publishing. Many believe that unless you have "sold" your idea to someone who vets your work, there must be something wrong with your book. This will matter more if your work requires some academic standing. It is important to recognize that many self-published books have an amateurish look and feel because, frankly, an amateur produced them. On the other hand, many well-known writers self-published and have had enduring success. Consider Charles Dickens, Mark Twain, and Margaret Atwood, for example. There is no one right way to get a book into print. 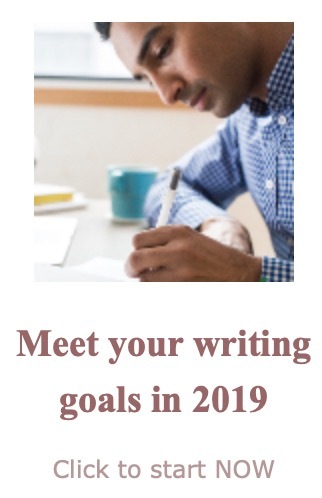 It's important for each writer to consider goals and resources before choosing how to proceed. When your book is ready for editing, I hope you will consider me. Get your sample edit here. Self-publishing writers will want to return to the home page to see what editing services are available here.